We are joined by businessman, stylist and designer Gavin Rajah. 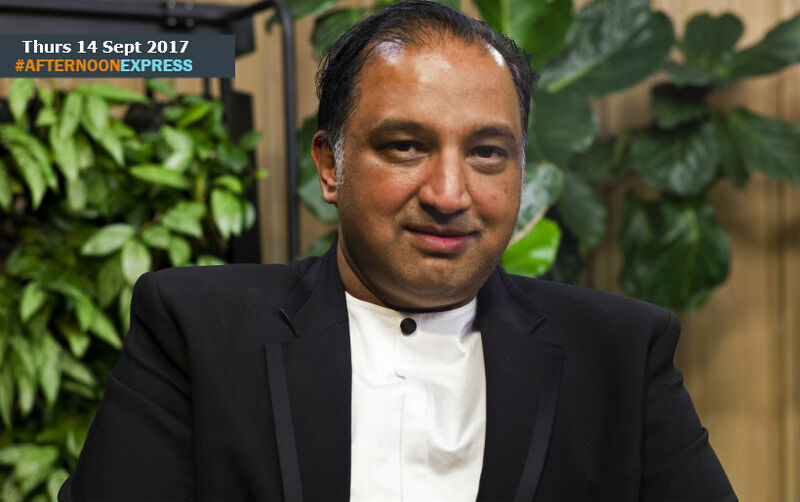 He is the managing director of Cape Town based companies Gavin Rajah Atelier and Gavin Rajah Concept, making him a true entrepreneur in the worlds of fashion and marketing. His work has been featured in many local and international publications such as Vogue, Nike, BBC, Los Angeles Times, SAB Miller and London Sunday Times, among many others, and in 2007 he was also a judge for modelling competition Revlon Supermodel. His work focuses on craftsmanship and hand-finished couture, his studio focuses on creating creative collaborations with photographers, graphic artists and other creatives to make unique individual pieces. In the January 2013 issue of Italian Vogue, Gavin was listed as one of the 150 designers to watch around the world. That same year he won the Most Beautiful Object in South Africa Award at the Design Indaba Expo, he also won Designer of the Year at the SATOURISM. His work has been shown in Paris during the couture collections, since 2006. Gavin has dressed many of your favourite local and international celebrities such as Beyonce, Naomi Campbell, Paris Hilton, Cameron Diaz, among many others. Gavin is respected worldwide throughout the world of fashion, with his work featured in numerous collections around the world, and appearing in shows such as ‘America’s Top Model’ in the US and ‘Fashion Avenue’ in the UK.